LinkedIn is the No. 1 social media channel used and requested by financial advisors, says Stephen Marsh, CEO of Smarsh, a certified compliance partner. 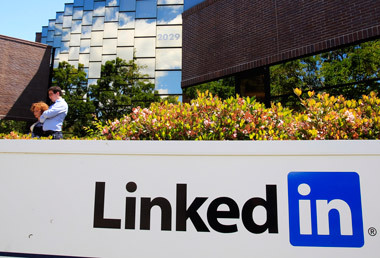 LinkedIn announced Thursday its LinkedIn Certified Compliance Partner program, which help advisors stay compliant with Securities and Exchange Commission and Financial Industry Regulatory Authority rules. The program now includes six certified compliance partners: Hearsay Social, Smarsh, Socialware, Global Relay, Erado and Actiance. As Smarsh CEO Stephen Marsh noted in a recent statement, “LinkedIn is the No. 1 social media channel used and requested by financial advisors.” Smarsh, which delivers cloud-based archiving solutions, has “worked closely with LinkedIn to construct a solution that simplifies and strengthens compliance oversight, but also gives our mutual customers the freedom to connect, share ideas and discover opportunities using the world’s largest professional network,” he said. Smarsh’s “enhanced archiving solution” in partnership with LinkedIn has already been rolled out to more than 600 existing financial services customers around the world, the company said in the statement. Smarsh said that it captures content through a direct connection with LinkedIn APIs, which allows customers to search and supervise their organization’s LinkedIn activity, including Company Pages, Profiles, Posts and Groups. Manage the provisioning of archiving for each LinkedIn account with self-service administrative tools.